The period of enjoying hairy carbs this year is much longer due to the double September on Chinese calendar. URBAN Bakery has created several edition of Croissandwich mixed with HK tradition food. Have been great hits in town! This year, they bring back the hairy crab Croissandwich and add caviar to it. Only sell 10 pieces everyday. Make sure you call to reserve! Mixed with perfect 1:1 crab meat and essence, the filling also contained ginger and vinegar to highlight the freshness. 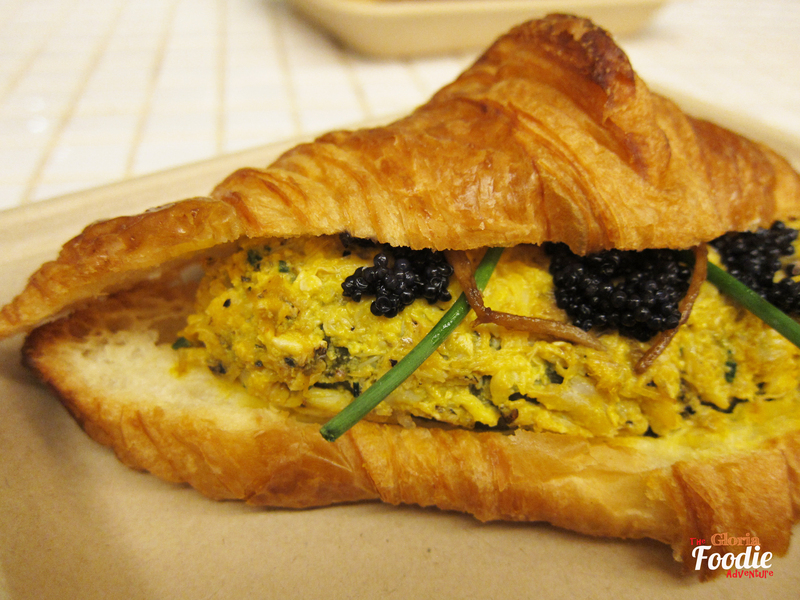 Adding the caviar to the Croissandwich not only makes it richer but also more elegant. 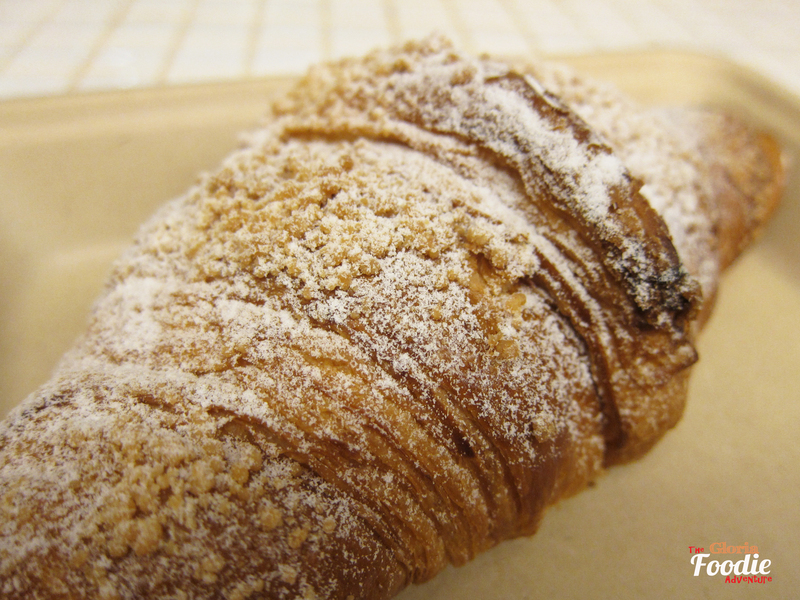 Don’t forget to try another HK-style croissant – Molten egg yolk custard croissant! The mixture of egg yolk custard bun and croissant. 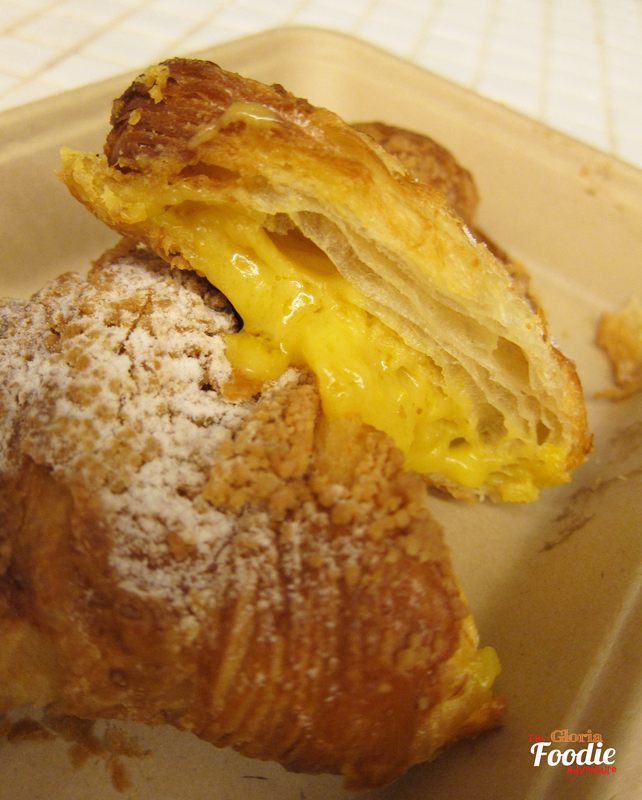 Chef injected the egg yolk custard into the croissant. When you cut it, the custard exploded. 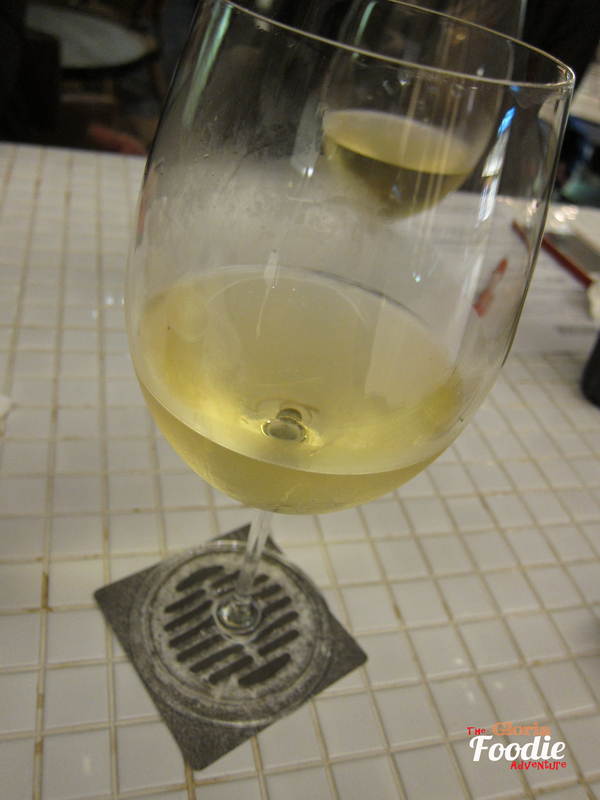 The surface was covered by crispy crumble which made the exterior crispy but interior soft. You can’t stop to finish it in a minute! 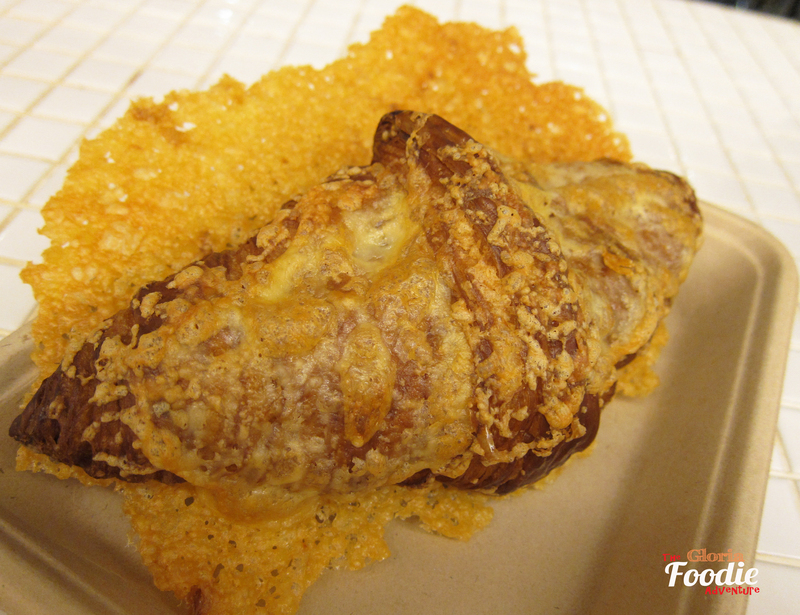 Cheese croissant has been upgraded to a giant version with the crispy cheese at the base. The savoury cheese smelled so nice and crispy, which is a good match with a glass of wine! Address: Shop 322, 3/F, Landmark, 12-16 Des Voeux Road Central.